WeLoveBigBrother.com is excited to announce that we will be attending the Big Brother 11 finale on Tuesday, September 15th. This will be our third season in a row to bring you video interviews with the houseguests from the backyard of the Big Brother house. Plus, we’ll be posting on Twitter from the backyard of the house! 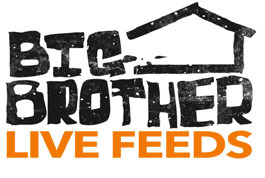 During the first ever two-hour season finale, WeLoveBigBrother.com will setup our camera and equipment in the backyard of the Big Brother 11 house. Immediately after the live broadcast, the houseguests will come to the backyard where we will interview them one at a time. WLBB’s Matt Maynard will conduct the interviews and he will be asking the questions the die-hard fans want to know. Those video interviews will be posted in the early morning hours of Wednesday, September 16th. Yes… we will work to upload them ASAP and hope to post them by 2am Pacific time! PLUS, we’ll be on Twitter from the backyard of the Big Brother house! Not only will we be posting video interviews with all of the houseguests, but well also have each houseguest post a picture and message on Twitter LIVE from the backyard of the Big Brother house on finale night! Be sure to start following @wlbb on Twitter right now! Tell your BB friends that WLBB is the place to be on finale night! You can submit questions for Matt to ask the houseguests by sending us a tweet on Twitter. Start sending your questions right now to @wlbb on Twitter. Or submit your top questions for all of the houseguests below in the comment section of this story. While you’re waiting for the finale, be sure to watch our interviews from the past two finales. Click here for Big Brother 9’s interviews. Click here for Big Brother 10’s interviews.